Youthswim is a 30-minute session, once a week, on a term basis for those children who are not ready for squads and need further development of strokes. Entry to this program is by assessment only, or children must have completed at least Mantarays level in our swim school. (Maximum 10 students. Term program only). Teenswim is for children who are not interested in squad swimming and just want to swim once a week. This 45-minute session will help keep your swimming fitness up and allow you to meet new friends. (Maximum 10 students. Term program only). Endorsed by the Royal Life Saving Society, this hour long program is conducted weekly and is only offered on a term by term basis. Lifesaving and life guarding skills are taught by a coach in a fun environment. Personal and team goals are achieved along with the opportunity for assessment in Royal Life Saving Society stages 10 – Bronze Medallion. (Maximum 10 students. Term program only). Please book a free assessment before enrolling to make sure your child is placed in the right level. 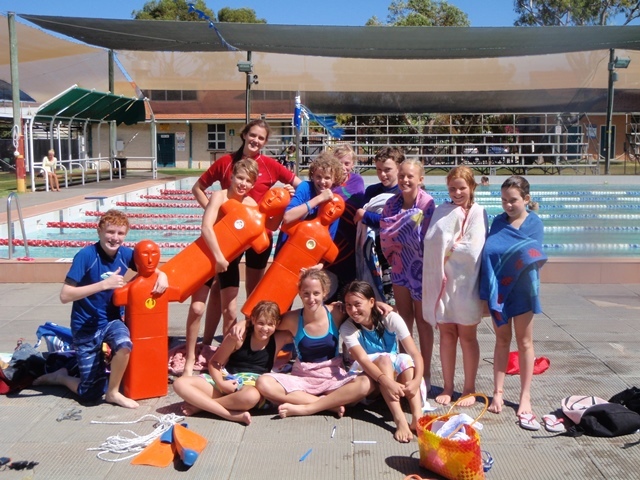 To do this, email swimschool@fremantle.wa.gov.au or call 08 9432 9999. Before enrolling into any level you must first read the swim school enrolment information, terms and conditions. Now that you know which level to place your child, you are able to enrol into the above term programs and pay online.